Money Tips to help you to get more money and save more money by using credit wisely, getting out of debt, making plans for your future and many more topics related to improving your finances. If you feel you are in a position where you are looking for some money tips that may help to solve you problem read on. These tips can hopefully help you work your way through your obstacle but it would be a good idea to run them past your accountant to make sure they would serve your needs. Choose your topic from the list below to try approaching these topics from a new perspective. If you can take one thing away from these articles that can be what you need to help yourself. How to Avoid Getting Into Debt - use credit in a positive manner to keep yourself out of trouble. Get Out of Debt - simple techniques that can be used to help get out of debt. What is the Difference Between Good Debt and Bad Debt? - good and bad debt explained. 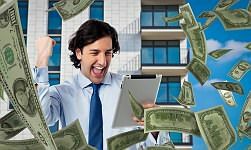 How to Be Financially Successful - ways to improve your standard of living. How to Have Good Credit - use credit well to improve your credit score and limit. How to Save Money - how to save when you have little to put away. Make Money Using Credit Cards - instead of paying fees it's time to get them. Money Planning: How to Build a Solid Future - some common goals people use to build their futures. Save Money While in College - save some cash so you can fund your job search when you graduate. How to Talk About Money With Your Spouse - take the stress out of this touchy subject. Use Credit Cards Wisely - how to use credit cards safely to build your credit. How to Use a Smartphone to Keep Track of Your Money - tips & apps to manage money. New money tips are always added so check back often.